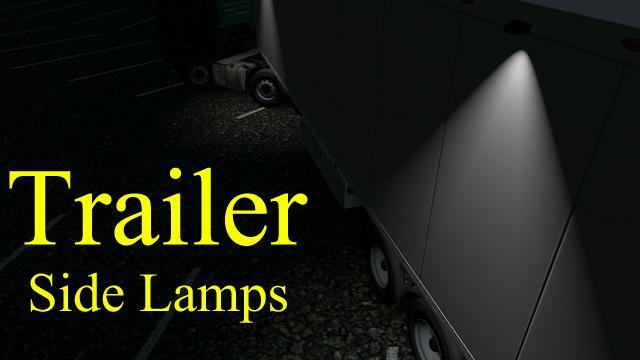 Side lamps installed on trailers, help reverse/turn a corner with a trailer at night or low visibility conditions. High beam controlled side lamps. Currently only for SCS’s original long trailers. SCS’s short trailers, tandem trailers, Krone trailers not supported. Further updates expected. 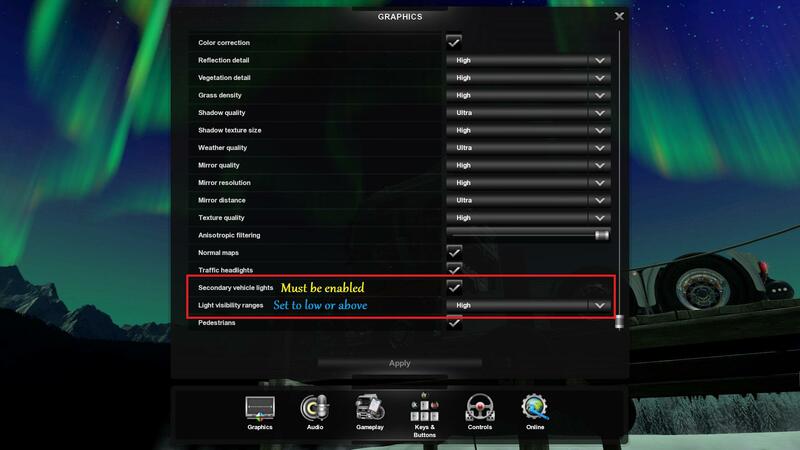 In your graphics settings, “Secondary vehicle lights” must be enabled; “Light visibility ranges” must be set to low or higher. 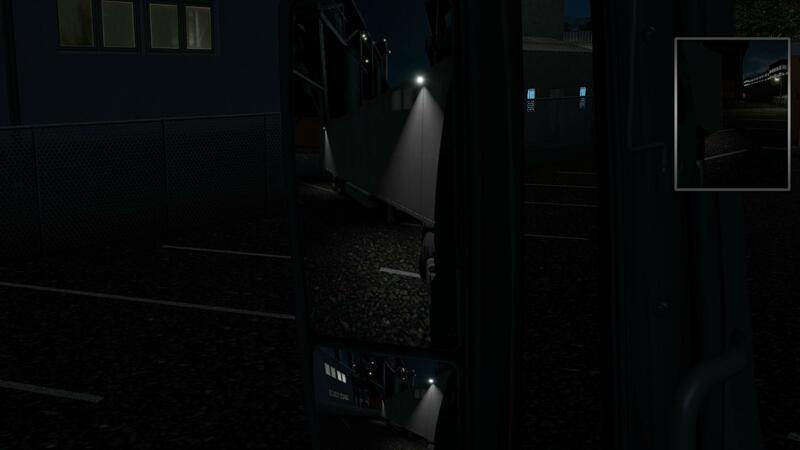 Side lamps work with “Exclusive” markers on curtainsider trailers. 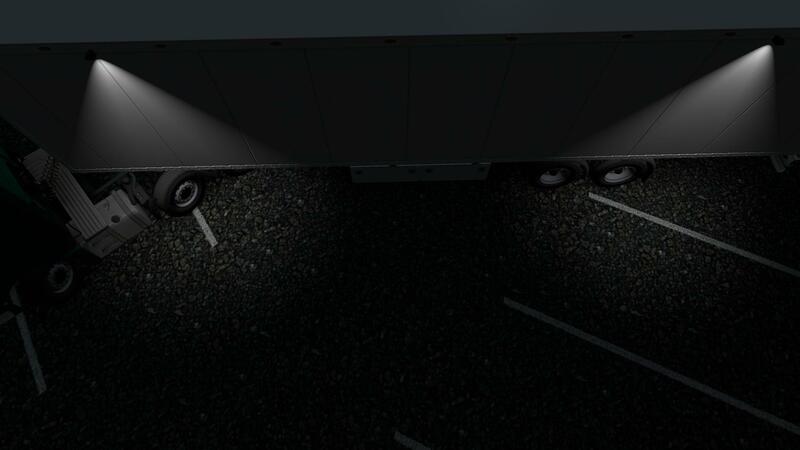 Side lamps work with “Exclusive Double” markers on other trailers. Moving floor trailers not supported. Graphic mods may affect lighting effects!